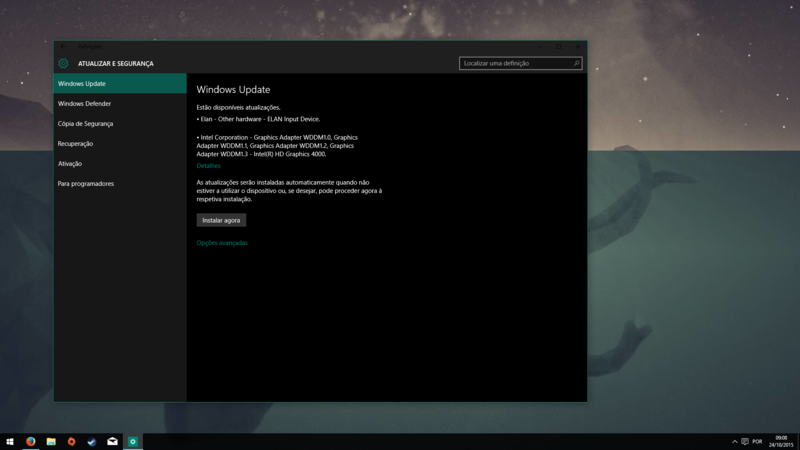 Once I click "Instalar Agora" (Install now), no second window appears, as you would expect from a third party update. Any suggestions? This is really becoming highly annoying. Have you restarted the machine yet? Sometimes that fixes update issues. Also are you sure you're actually receiving an error... Driver updates in Windows 10 are delivered via WSUS as well now so you won't see anything other than the standard windows update procedure. I did. It has been like this for the last couple of days, so I've done several attempts, with several reboots to no avail. I had a problem with my 9 year old laptop NVidia driver was not compatible. I used ISO and driver from Vista 64bit. All is running well! what about deleting the windows update files stuff? first you can try going to control panel and searching for "troubleshooter", there is an option for Windows Update. But what I do it's simple go to task manager, go to services, right click on Wuauserv (windows update) and stop it. then when searching for updates is done again, and everything is downloaded again and all that. it always worked for me on Windows 8. I haven't had that problem on Windows 10. every update has been solid for me, and I haven't done anything but restart my computer and done. Has anyone got Windows Hello to work in portrait mode? When I try to sign into my Windows account, it shows the wrong address? Where do I find a WPS PIN in Windows 10?